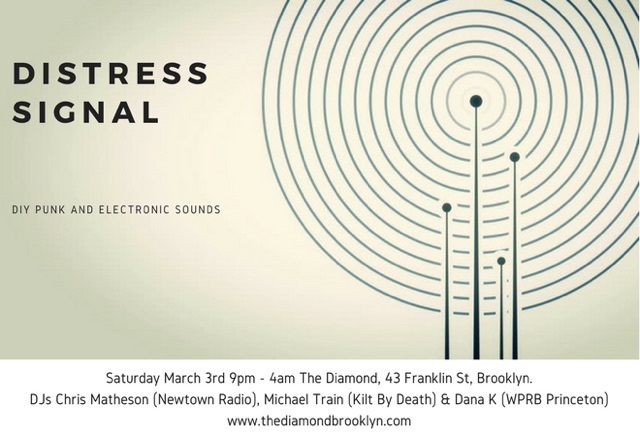 A night of DIY Punk and Electronica from around the world hosted by DJs Chris Matheson (Distress Signal Radio on Newtown Radio) , Michael Train, complier of the legendary Scottish DIY Punk compilation "Kilt By Death" and Dana K (WPRB Princeton) from Philadelphia. SATURDAY- N64 Mario Kart Tournament! CLOSED today for a private event- see ya tomorrow!